If you’ve tried the store-bought almond milk only, you are really missing out. 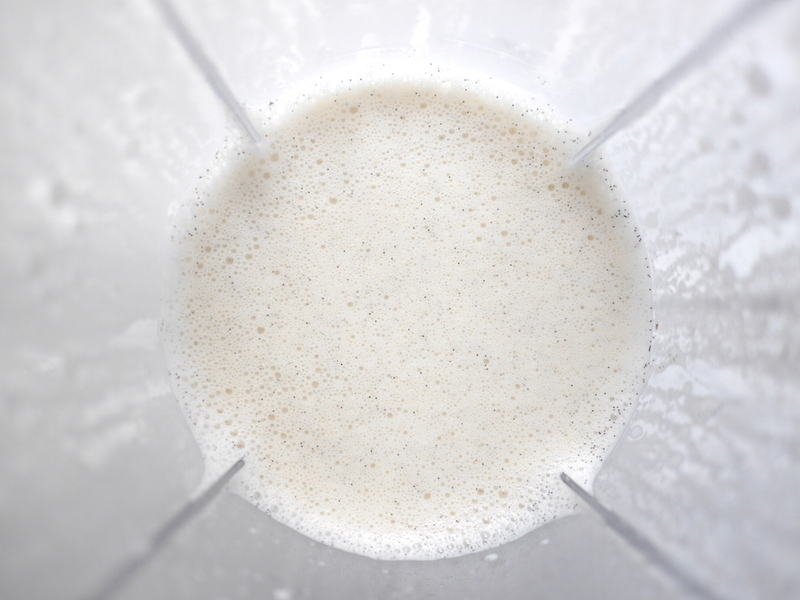 It is surprisingly easy to make your own almond milk at home. Give it a try! It’s only 5 ingredients and super fuss-free. It might taste flat for the first time, but if you follow my recipe, you won’t be disappointed. 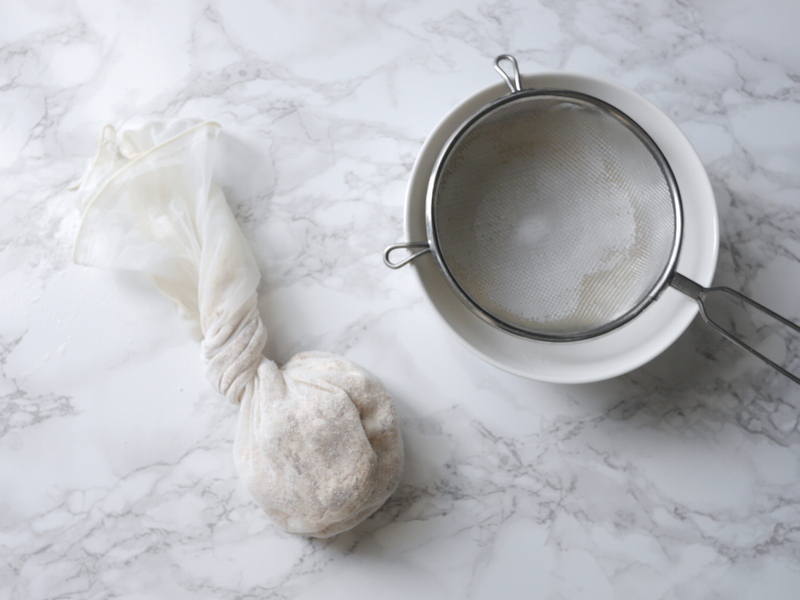 You need a blender and a nut milk bag or a strainer. 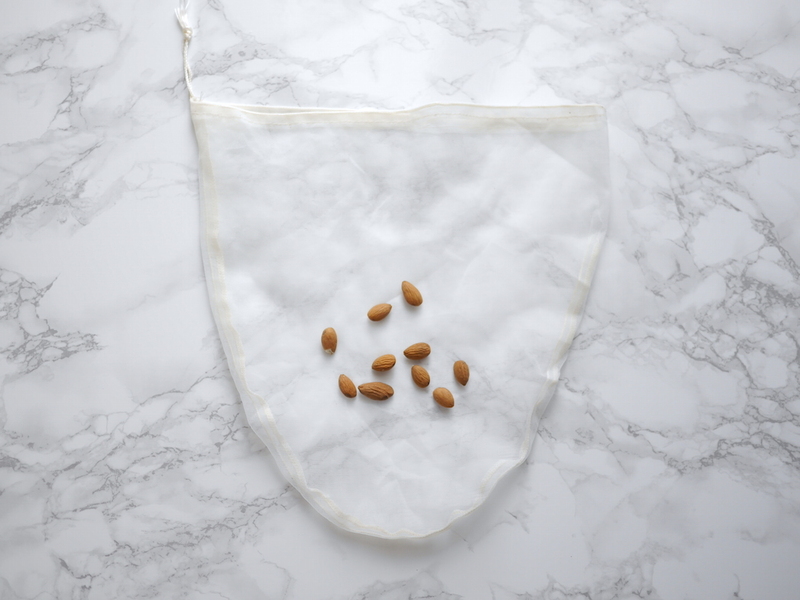 This is my nutmilk bag. I bought mine at Amazon. It is really important to soak the almonds in water first. The skin has enzymes that are really hard to digest and the soaking process makes it easier to brake them down. Drain and rinse them well. 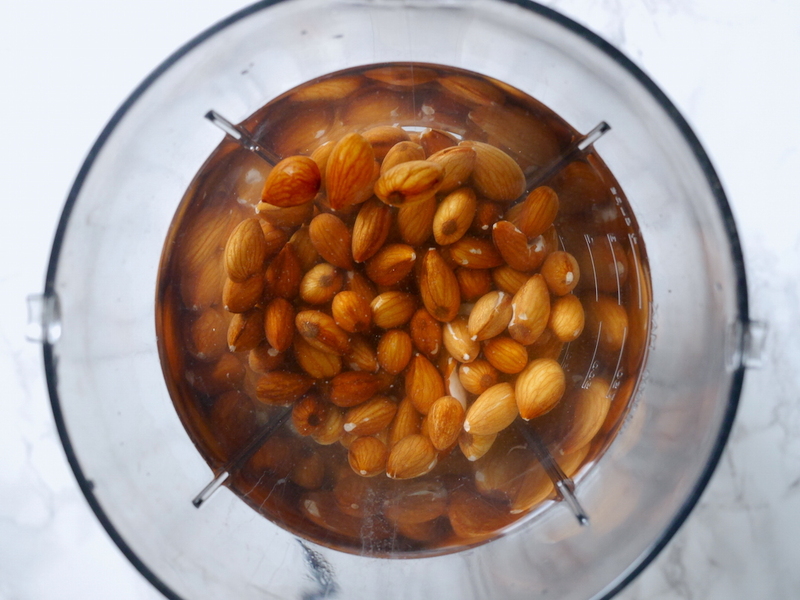 Put the almonds and filtered water in a high-speed blender. The recipe calls for 4 cups. I usually eyeball the amount of water and have it twice the hight of the almonds in the blender. 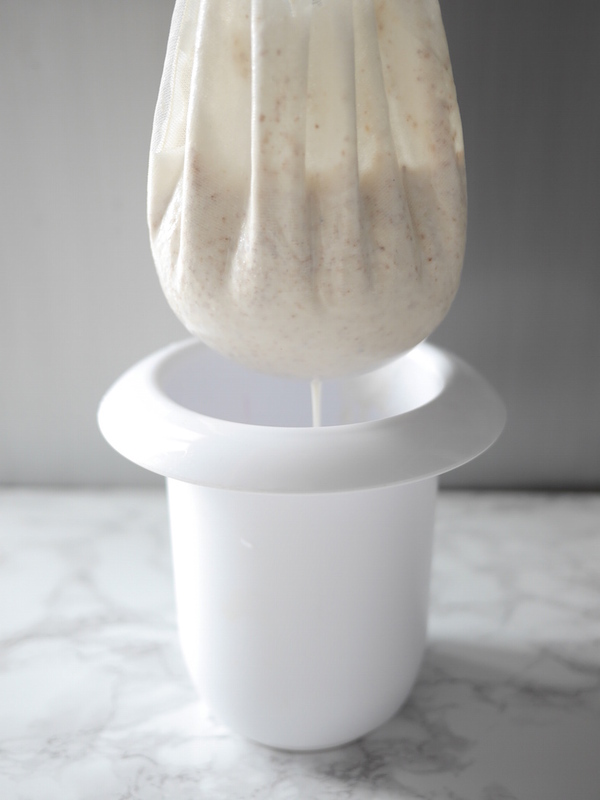 Pour the mixture through a nutmilk bag and squeeze! Milk it! I squeezed out every single drop and you can see here the leftover almond pulp in the bag. You can discard it or save it for other recipes(one is coming up soon!). Get creative! 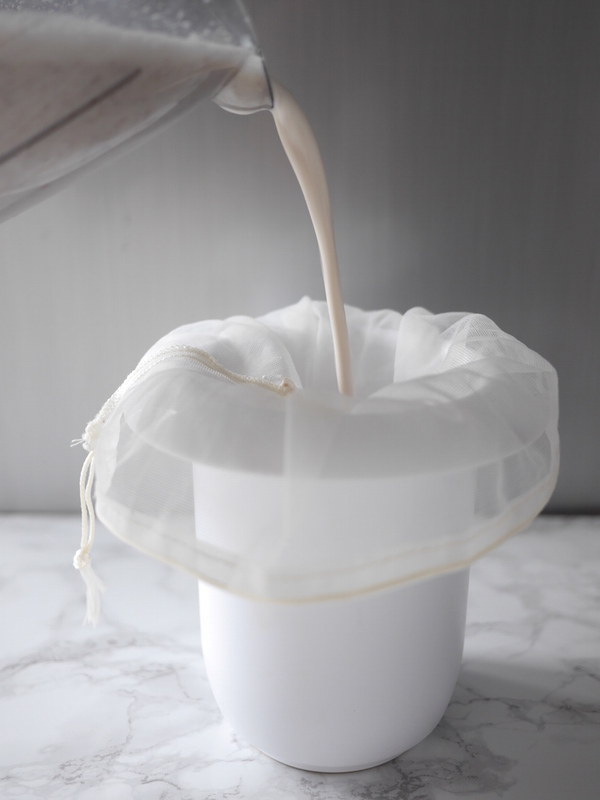 If you don’t have a nutmilk bag, you can use a strainer instead. So that was the first part and you have your own homemade almond milk now! But here comes the secret ingredients for major addictiveness. Pour the fresh almond milk back in the blender. 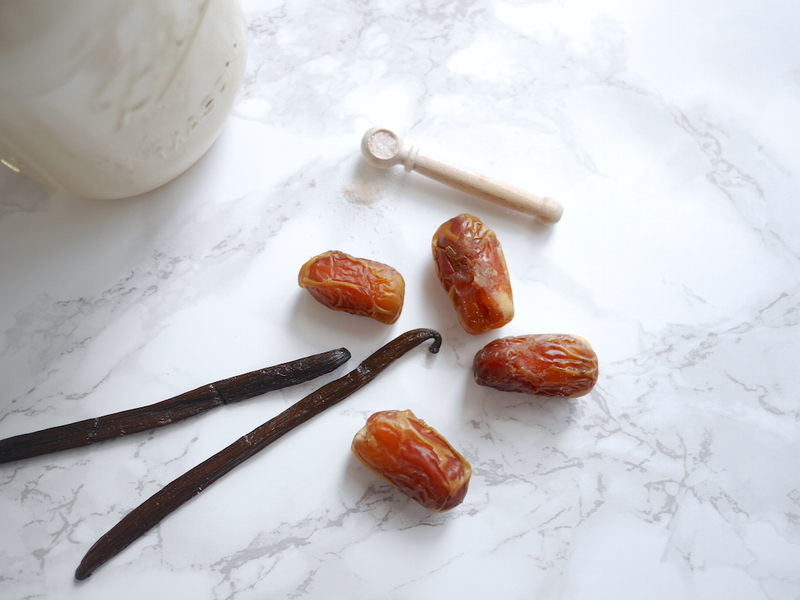 Add dates, vanilla seeds and sea salt. Blend until nice and smooth. Taste it! And don’t drink all of it in one shot! Transfer the mixture into an airtight container and store in the fridge up to 4-5 days. It is THE BEST almond milk and you won’t drink anything else anymore! 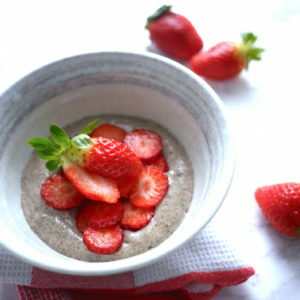 Try muesli with your almond milk or make chia pudding. And feel free to add or substitute ingredients. 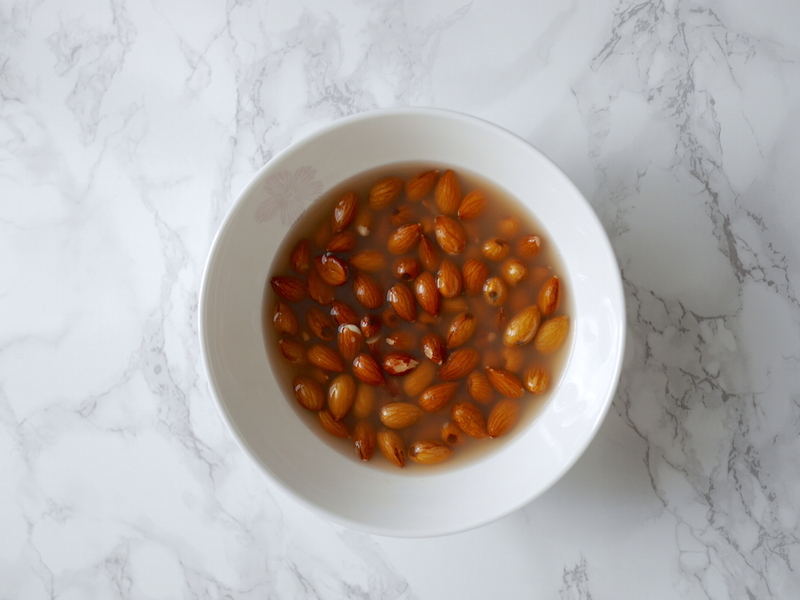 You can easily make milk with all kinds of nuts. Cashew nuts, hazelnuts, brazil nuts and so on. Hazelnuts and brazil nuts(Paranüsse) don’t have to be soaked before blending. 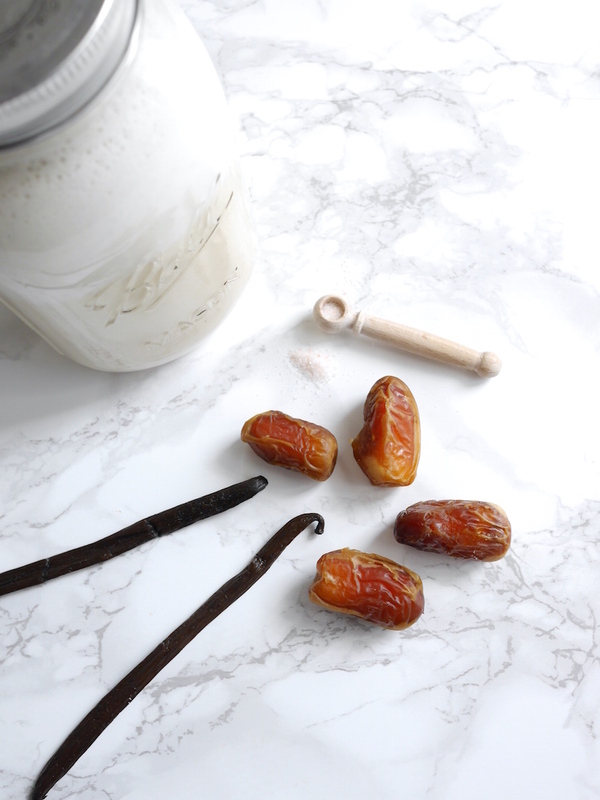 Enjoy and be proud of making your own almond milk! 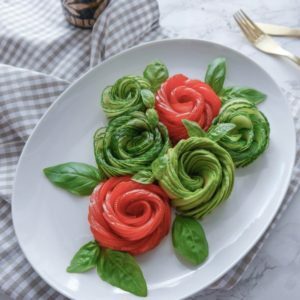 Looks delicious, I will give it a try! Try it. It’s really good!